Please note: This was my first attempt at writing a blog. I have since learned that I should back the things I said up with more facts. I plan to do this sometime in the near future. What are your thoughts about this article? I would like to hear more constructive criticism. Thanks. Violent crimes are on the rise and the majority of them are being done by people who are mentally ill. The stigma that is attached to people with mental illnesses had been getting better, but now I fear is getting worse than ever. Famous people with mental illnesses try to hide their illness like there is something wrong with having a diagnosis. This furthering the problem with the stigma. Because of the stigma, less people will be getting help when they need it. With less people getting help for a variety of reasons, more crimes will be committed, psychiatric hospitals will be even more full than they already are, and more people will be jailed for things that could have been prevented had the criminals been medicated properly. Who is going to help this situation? What will they do? Suggestions: More actors, athletes, musicians, successful businessmen, etc. need to start to come out and talk about their mental illness. Commercials letting people know that being mentally ill is ok and encourage people to get help. More ppl need to be encouraged to go into psychiatric field. Psychiatric hospitals need to be more efficient. It has to cost more for the government to jail these ppl and hospitalize them. Instead money should be put into prevention. Prevention=education and psychiatric help available: Let’s stomp on the stigmatism! I would like to see a politician talk about this issue. 12. My goal is to get my two questions to as many politicians and media as I can. 13. My questions are: What are you going to do to help the stigma attached to the mentally ill? What are you going to do to fix the problems of psychiatric help not available in a timely manner? 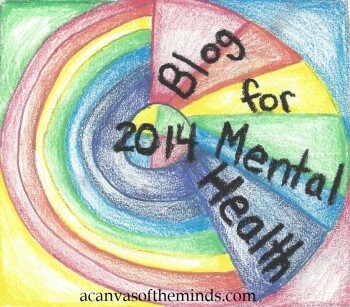 This entry was posted in Uncategorized and tagged bipolar disorder, mental illness, stigma. Bookmark the permalink.